Circus performance meets spoken word in a beautiful and surreal journey that delves into what it means to be a woman. 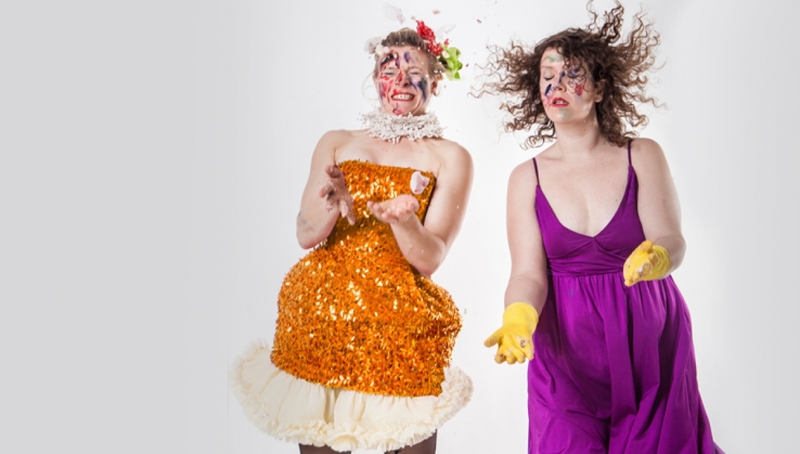 Performed by aerialist Maddie McGowan and writer Talia Randall, Expectation is a 20 minute immersive performance in which the audience is called upon to look, judge, laugh and celebrate the different faces of femininity. Join them as they build, push and squeeze The Perfect Woman until she falls flat on her face and disappears. Conceived by Talia Randall in collaboration with Maddie McGowan and directed by Silvia Mercuriali one half of the immersive and multi-sensory theatre company Il Pixel Rosso (The Great Spavaldos, And The Birds Fell From the Sky…). A Roundhouse commission supported using public funding by the National Lottery through Arts Council England. Five weeks of contemporary circus from around the globe.